Unlock Sony Ericsson Xperia E - Safe IMEI Unlocking Codes for You! Unlock Sony Xperia E Handset! In case your Xperia E doesn't ask for the code and there is no designated field to enter it, please DON'T PLACE ANY ORDER, contact us first for support. Need to get your Xperia E unlocked? With SafeUnlockCode, it’s fast, easy and a lot cheaper than unlocking straight from the big networks. If you follow the guidelines sent to you, it will also be 100% guaranteed to work! After the code has been sent to you via email, the unlocking process will take just two minutes of your time! 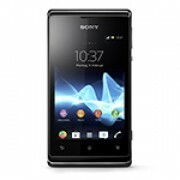 If you want to unlock a phone other than the Xperia E, then look here. Once unlocked, you’ll be able to use your Xperia E on any GSM network across the world! Including networks from America like AT&T, T-Mobile, Rogers or Bell, and those in Europe and the UK like O2, Orange and Vodafone. Follow these guidelines to get started with the unlock process. You’ll first need to provide some information. Step 1. IMEI number: This is a 15 or 16 digit code that can be found by dialing in *#06# or by reading it from the sticker found underneath the battery. We’ll need the first 15 digits of the IMEI. Step 2. Choose the country that the Xperia E was bought in. Step 3. Choose the mobile network your Xperia E is locked to. We cannot refund you if you fail to enter in this information correctly! Make sure to re-read it multiple times before starting an order! Step 4. Check to see if your phone is hardlocked. If the number alongside network is 0, you are hardlocked. If this is the case, please do not place an order. It will not work! How to Unlock Sony Xperia E Phone - Tutorial! Follow these steps to get unlocked. Wait for an email with the unlock code in. Once the email has been received, enter a SIM different to the network you are locked to, and turn on your phone. A screen should appear asking for an unlock code. Enter it here and you will unlock the Xperia E.
If you’re struggling with these steps, contact us for help. can you please help me with my phone from Italy Telcel? I have Xperia E from Austria vodafone, do you have available code? Can I use my sim back after the process? Hi , I have a XPERIA E , in Simlock menu I see [o] Network 10 [X] Network Subset 0 [X] Service Provider 0 [X] Corporate 0 [X] Sim 0 it's hardlocked ? No, is not hardlocked, you still have 10 network unlock attempts! How much exactly is Xperia E Meteor Ireland unlock? Can you guys unlock my Xperia E from O2 UK?